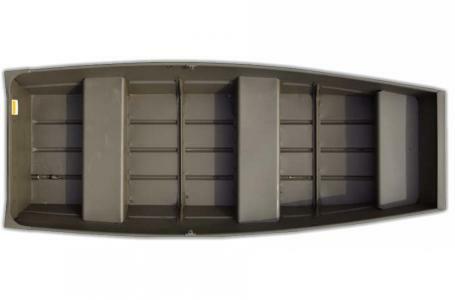 2017 Crestliner CRV 1467, 2017 Crestliner V1467 WT aluminum fish boat, walk through seats with flat floor, 20' transom. 2016 Crestliner 1450 Discovery Side Console, 2016 CRESTLINER 1450 DISCOVERY SIDE CONSOLE, powered by a Mercury 25HP 4-stroke EFI, full vinyl floors and decks, and a bunk galvanized trailer is included. Price includes incoming freight, prep, and battery. 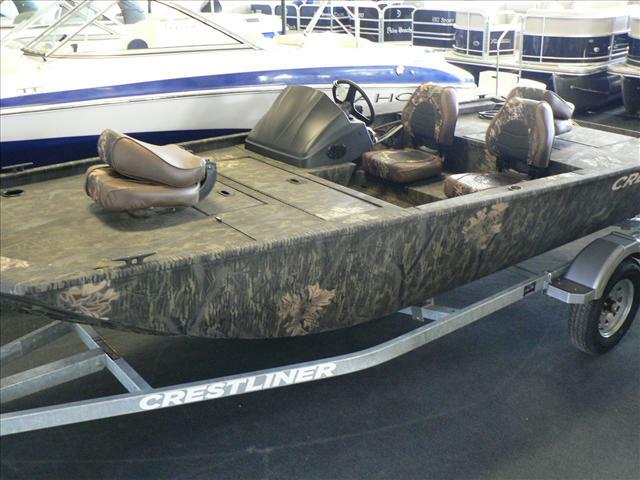 2016 Crestliner Storm 1600, 2016 Crestliner 1600 Storm camo/poly, FULL Rough Liner spray in floor liner, livewell, camo fish seats, floor storage, Mercury 25 HP EFI 4-stroke with power trim, and a galvanized trailer is included. 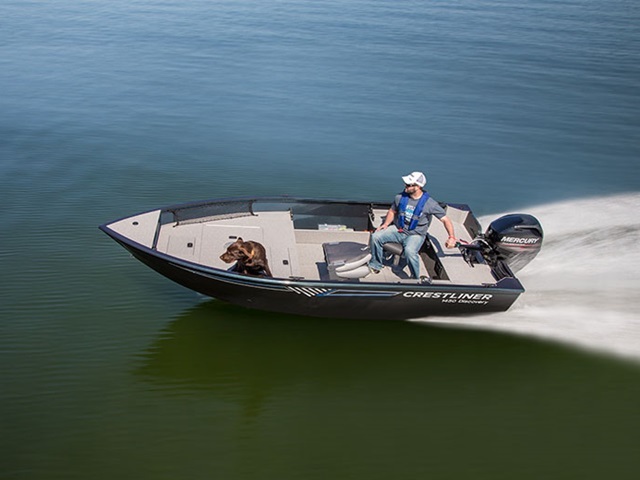 2016 Crestliner Deep V fish 1650 Discovery, 2016 Crestliner 1650 Discovery side console, powered by a Mercury 25 HP 4-stroke EFI outboard, vinyl floor upgrade, speedo and tach, livewell light, helm seat slider, and a galvanized trailer is included. 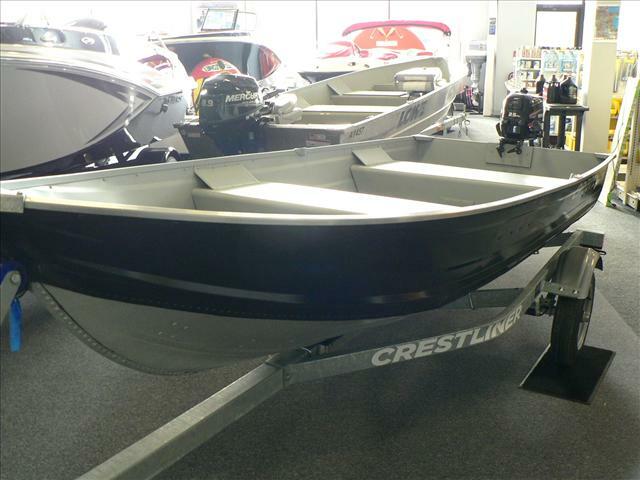 2016 Crestliner Jon boat 1436, 2016 Crestliner 1436 jon boat. 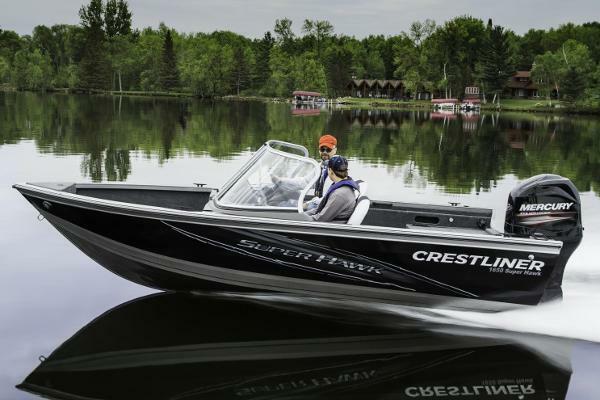 2016 Crestliner All Welded Jon boats 1650 Retriever ..., 2016 Crestliner 1650 Retriever Jon Deluxe, powered by a Mercury 25 HP EFI 4-stroke with power trim. Flat floor, aerated livewell, FULL Rough Liner spray in floor liner. 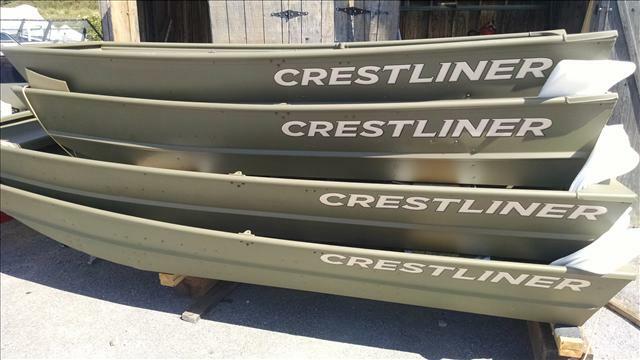 Crestliner galvanized bunk trailer is included. 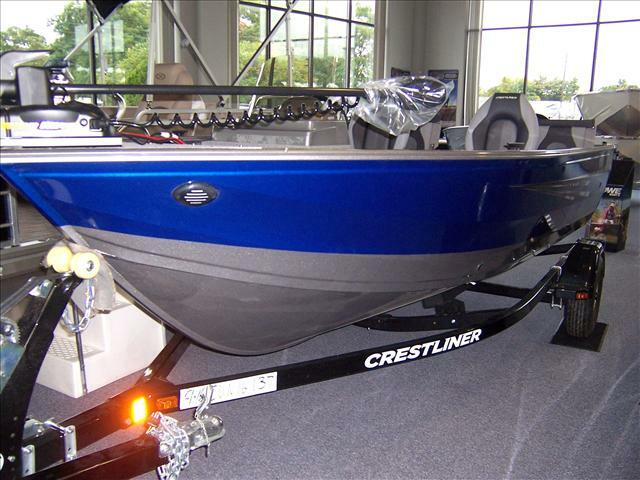 2016 Crestliner Bass boat 1600 Storm, Quabbin special!!! 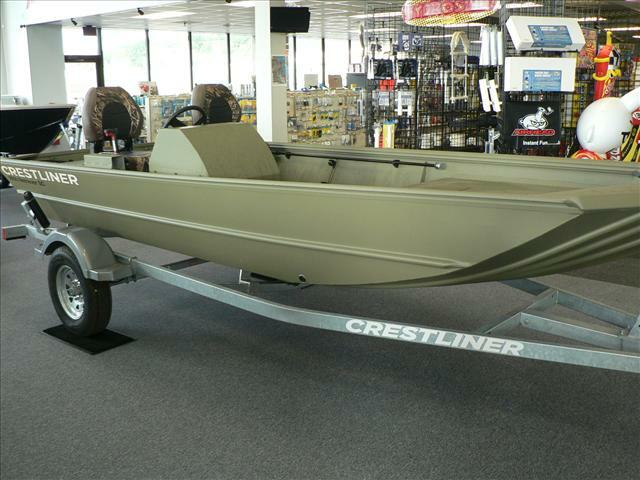 2016 Crestliner 1600 Strom, powered by a Mercury 25HP EFI 4-stroke with power trim, Motorguide 45LB thrust trolling motor, livewell, and a galvanized trailer is included. Package discounted price of $12,995 includes incoming freight and prep. 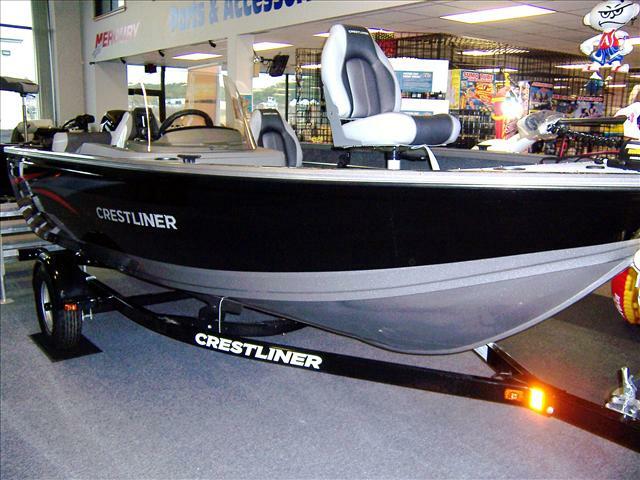 2015 Crestliner VT Series 17, PRICE REDUCED!!! $17,995!!!! 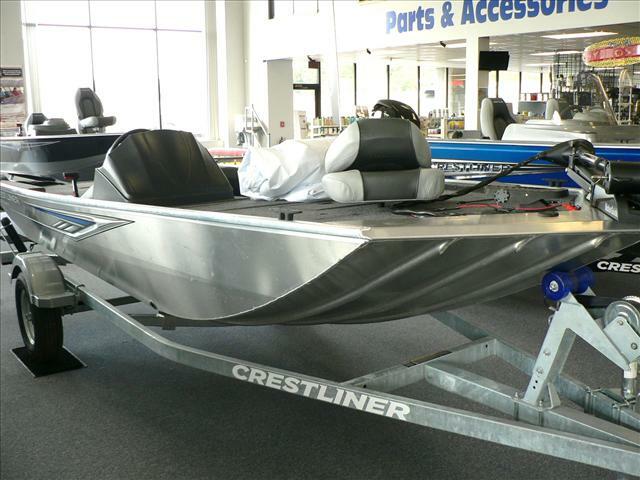 2015 Crestliner VT 17 Tournament Sport, powered by a Mercury 60 HP 4-stroke, Pro Edition package, Motorguide 70 LB thrust/24V trolling motor, triple bank charger, ratchet tie downs, auto bilge pump, Lowrance fish finder, custom boat cover, and much more! 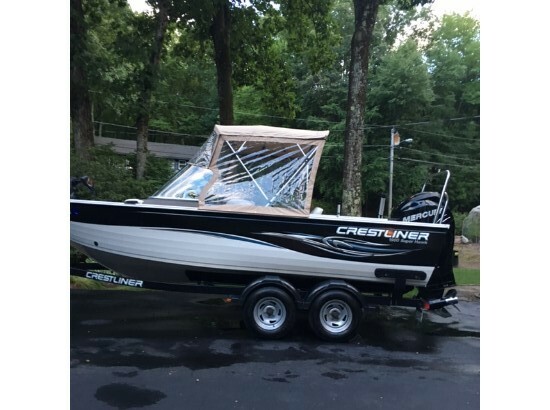 2015 Crestliner Top Quality Deep V 1650 Fish Hawk SC, 2015 CRESTLINER 1650 FISH HAWK SC, powered by a Mercury 60 Command Thrust EFI 4-stroke, full vinyl floor, tilt wheel, conversion back seat package, extra fishing seat, Minn Kota trolling motor, Lowrance fish finder, full custom cover, and a custom drive on bunk trailer is included. 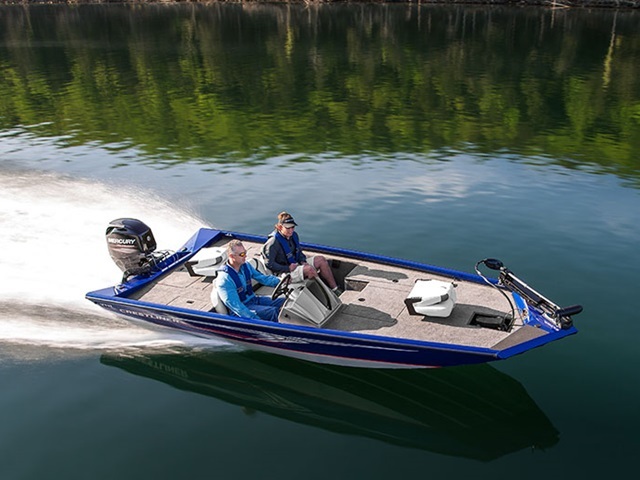 LIFETIME HULL WARRANTY AND 3 YEARS BOW TO STERN!!! 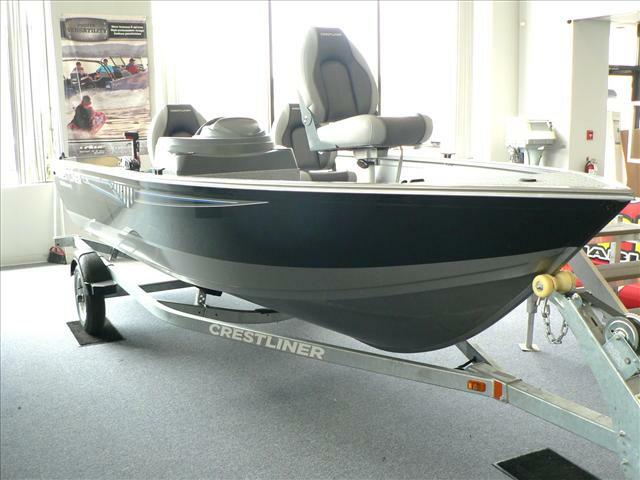 2015 Crestliner Top Quality Deep V 1600 Vision, 2015 CRESTLINER 1600 VISION, powered by a 60 HP EFI 4-stroke outboard, Minn Kota trolling motor, Lowrance fish finder, full custom cover, jump seat cushions, full vinyl floor, and a custom drive on trailer is included. 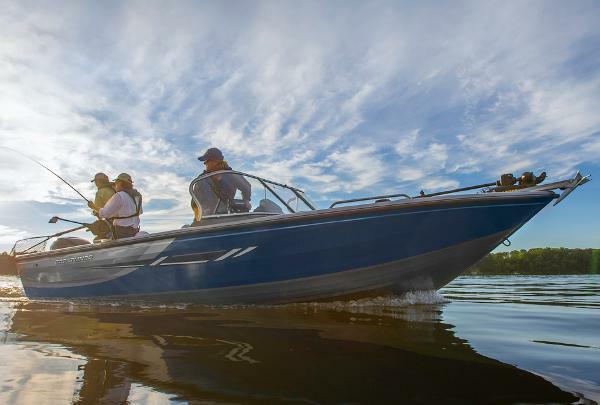 LIFETIME HULL WARRANTY AND 3 YEARS BOW TO STERN!! !